"The Old Retreat" in Skelmorlie, near Largs in Ayrshire is a very large holiday cottage sleeping 20 people. The Old Retreat is an ideal place to get away for a few days with friends, and the outdoor hot tub makes a relaxing place to spend the evening and watch the sun go down over the Firth of Clyde. There are 3 bathrooms at The Old Retreat. The Old Retreat has a combined living room and kitchen with a Freeview TV, DVD player, Blu-ray player, CD player, iPod dock, electric oven, gas hob, microwave, fridge/freezer, dish washer and washing machine. You have a separate dining room and a sauna room too. The Old Retreat has Wi-Fi, gas central heating, with your gas, electricity, towels and bed linen all included in the cost of your holiday. Outside The Old Retreat has a lawned with views over the Firth of Clyde; a patio area and that private outdoor hot tub (the hot tub features in a couple of the photos on this page). The Old Retreat is pet friendly, which means that those with a dog in the family can holiday here and enjoy those walks in the Clyde Muirshiel Regional Park! 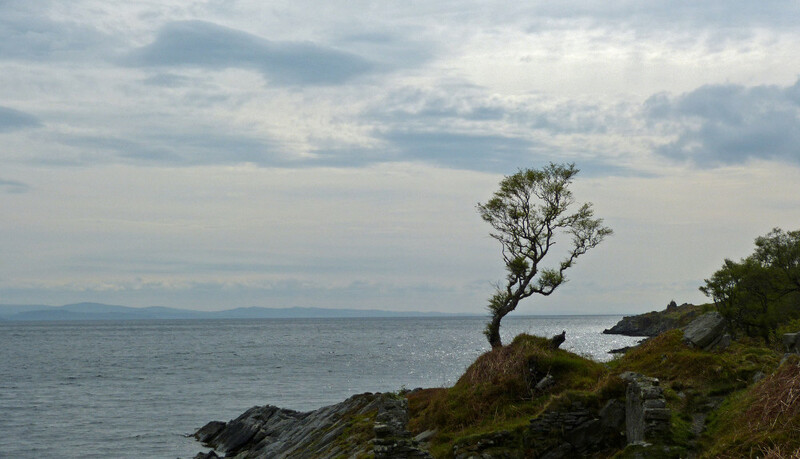 The Old Retreat has a lovely located on the edge of the Firth of Clyde. You can explore the delights of Ayrshire during your holiday here, with the town of Largs being 5 miles down the coast road. Largs has a choice of shops, pubs and restaurants; however the nearest restaurant is 200 yards from The Old Retreat. 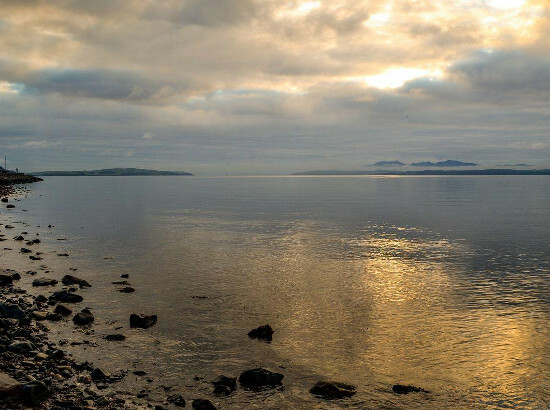 Skelmorlie is at the start of the Ayrshire Coastal Path, this 100 mile walk runs along the coast of Ayrshire (as you'd expect from the walks' name), with Skelmorlie being the northern point. You may not want to walk the entire length of the Ayrshire Coastal Path during your holiday at The Old Retreat - but it's certainly worth spending an hour or two taking in those vistas - and you can always return to the hot tub! If golf is more your thing, the famous Turnberry Gold Course is 50 miles south. The Clyde Muirshiel Regional Park can be found in the eastern side of The Old Retreat, with a variety of outdoor pursuits for you to try - there's walking and cycling in abundance, with water-sports available too - sailing, canoeing and powerboating. Two of Scotland's largest cities: Glasgow and Edinburgh are easily accessible for a day out from The Old Retreat. If you want to visit one of Scotland's islands during your time here, you nip across to Cumbrae, Arran or Bute for the day. One final thing to say about The Old Retreat is that, although this holiday cottage sleeps 20 people, if your holiday party is larger than this, you can always book The Old Nunnery next door as well - The Old Nunnery sleeps 24 people, so between the two of them The Old Retreat and The Old Nunnery can sleep 44 people - that really is quite a holiday. 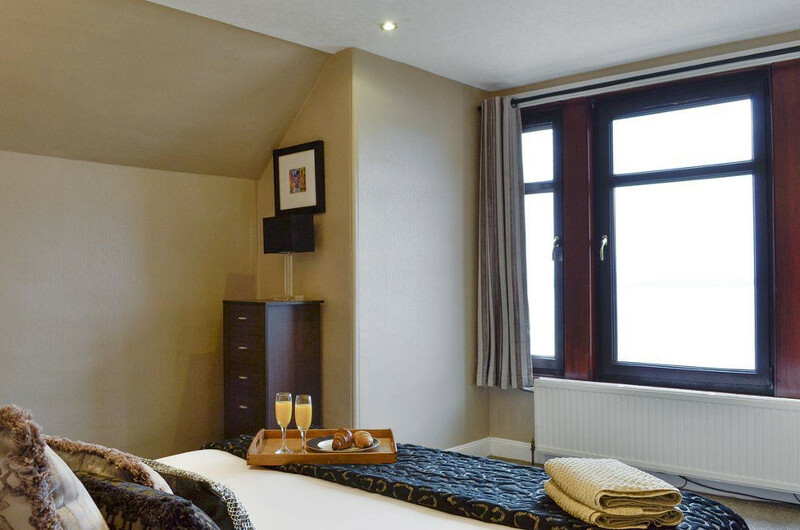 Should The Old Retreat not be to your liking, but you fancy staying in the area around Largs, you might well be interested in the cottages below. All these cottages are within a few miles of The Old Retreat.